On the 11th September 2001 a terrorist attack on New York City brought the World Trade Center crashing down. On that day thousands of people died inside towers, including rescue workers who went in to help. Now it is almost ten years after the event, and still people are dying and becoming ill from the aftermath of the falling of the towers. The Twin Towers were built from 1968 to 1972 and had large amounts of asbestos fireproofing including a slurry mixture of asbestos and cement that was sprayed on. This practice was banned by the New York City Council in 1971 but large amounts had already been used within the towers. It is estimated that the cost of removal of the asbestos within the World Trade Center would have rivalled the value of the buildings themselves, had they still been standing today. When the Twin Towers fell, a region of several square miles was blanketed by fine powder, consisting of the pulverised remains of non-metallic components and contents of the towers, including significant amounts of asbestos. Three days after the attack, an analysis found that some of the dust was four percent asbestos. This could prove to be a huge risk to public health as thousands of people breathed in the dust from the collapsed towers. Many of the people affected by the asbestos dust are likely to be the police, fire and voluntary rescue workers who risked their lives on September 11th to save the lives of others. Countless people exposed to the pollution are already suffering from symptoms of respiratory illness today. These range from difficulty breathing, coughing, asthma and even lung cancer and mesothelioma. While still considered to be rare, instances of mesothelioma have undoubtedly increased in number. Asbestos, an organically occurring mineral, is the only known cause of mesothelioma. Once mined and used industrially because of its resistance to heat and flexibility, the health effects of the mineral were not fully understood until the later part of the twentieth century. Because of this, asbestos was used throughout the 1900’s in building and construction materials, shipyards, and automobiles. Additionally, because asbestos is a mineral found on most continents worldwide, very small quantities exist in our atmosphere naturally. However, after the World Trade Center collapsed, the levels of airborne asbestos found in New York City were approximately 93,000 times higher than the typical amount of asbestos found in the air, making the risk of both exposure and illness extremely high. Though much of the asbestos initially used during building was removed from the World Trade Center, it was still one of the most common materials used in the erection of the towers. Because of this, the attack caused over 2,000 tons of microscopic asbestos fibres to be released into the air. Workers were advised that the fibres are invisible to the naked eye, and to wear protective equipment which would help keep them safe from exposure. However, many of those who were at ground zero, including volunteers, on lookers, first responders and rescue workers, were not wearing safety equipment and were exposed to asbestos fibres without their knowledge. When ingested or inhaled, asbestos fibres become lodged in the mesothelial tissue in the body, or the protective membranes that line the body’s internal organs. While mesothelioma is most commonly found in the lining of the lungs (pleural mesothelioma), it can also affect the lining of the heart (pericardial mesothelioma), and the lining of the abdomen (peritoneal mesothelioma). When exposure to asbestos occurs, the fibres enter the body and act like splinters in the mesothelial membranes. Over time, as scarring and irritation occur, symptoms of respiratory illness will also become present. These symptoms include difficulty breathing, coughing, fever, and chest pain. The New York State Department of Health released a study in the beginning of 2008, stating that in the seven years since the attacks on the World Trade Center approximately 200 of those initially exposed to the pollutants at ground zero have passed away. The study also states that at least 55 of these workers were victims of lung cancer, and of all those exposed to the dust and debris after the attacks, at least 62% of people report trouble breathing and other respiratory complications. Many respiratory diseases such as mesothelioma caused by asbestos can take years to present any symptoms, so we can only imagine how many lives will eventually be claimed by the attack on New York City, September 11th 2001. Despite the knowledge that Asbestos is highly toxic, it has been used for years in all types of materials. Most ACMs are safe as long as they are not disturbed, but it is not always possible to leave them or stop them degrading. 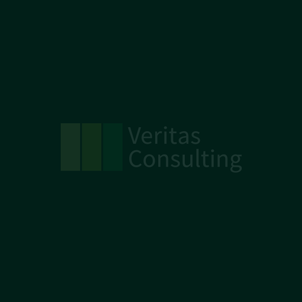 Veritas Health and Safety Consultants has many years experience in the field of asbestos surveying and consultancy. We are fully licensed, insured and highly competent with many supporting references from small domestic contracts to larger industrial applications. We offer an emergency service to our clients, which includes identification, advice, removal, encapsulation and reinstatement; keeping all contracts in line with the latest Health & Safety regulations and legislation.